So said Samuel Johnson nearly three hundred years ago. I’ve lived in London for ten years and my love for the city grows deeper every year. 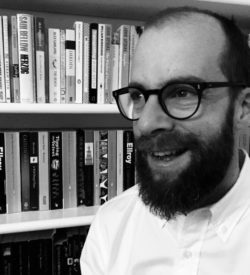 It is endlessly intriguing, truly diverse, vibrant and good-humoured. 1. 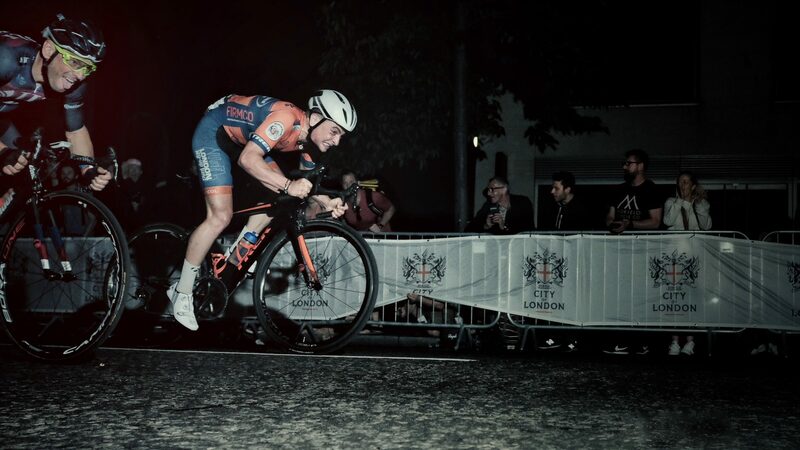 Top-class criterium racing. At night. 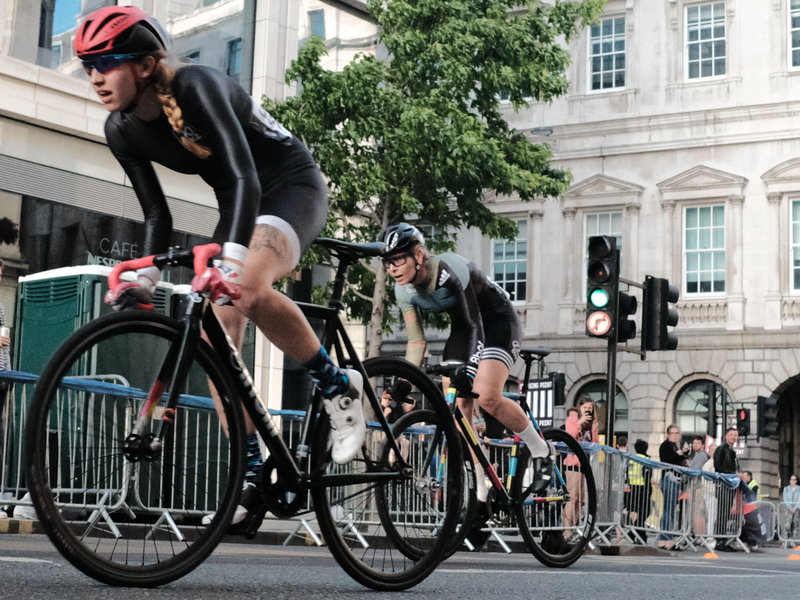 The UK has a thriving professional criterium scene, and many of its top riders, including multiple World and Olympic Champion Ed Clancy, will be in action in the men’s and women’s elite races. By the time they start, after dusk, large quantities of beer will have been consumed by the crowd. Expect fast racing by the riders, and a lot of noise from the spectators. 2. Dedicated Followers of Fashion. Not The Kinks, but the fascinating array of cyclists you will see at the event. Every morning on my commute through Greenwich and Southwark I look out for the various cycling tribes. 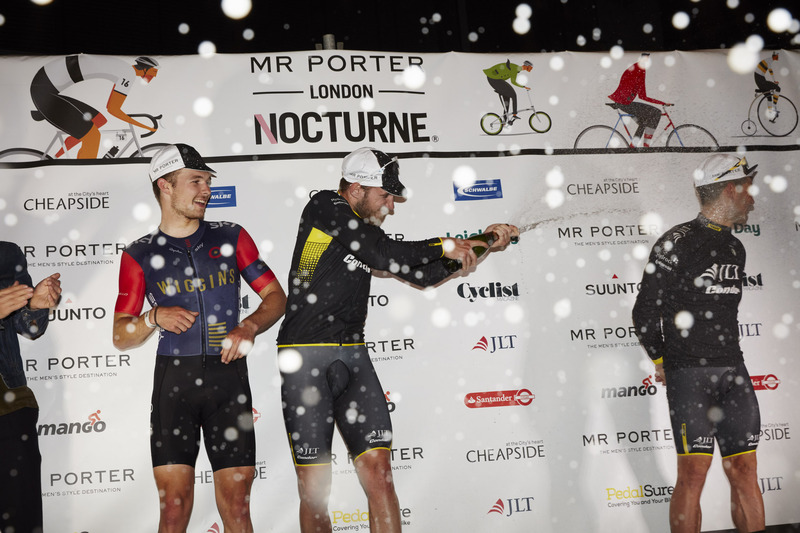 At the MR PORTER Nocturne London you see a distillation of this diversity. You will see grizzly tattooed bike messengers, dandies with handlebar moustaches and plus-fours, immaculate lycra roadies and many more. And of course, like dogs, the machines are a reflection of their owners; from garish fixies to elegant pieces of steel history and stealthy carbon. Come and be dazzled. Do you commute on a folding bike? Use hire bikes to get around town? Ever wondered what it would be like to race one? 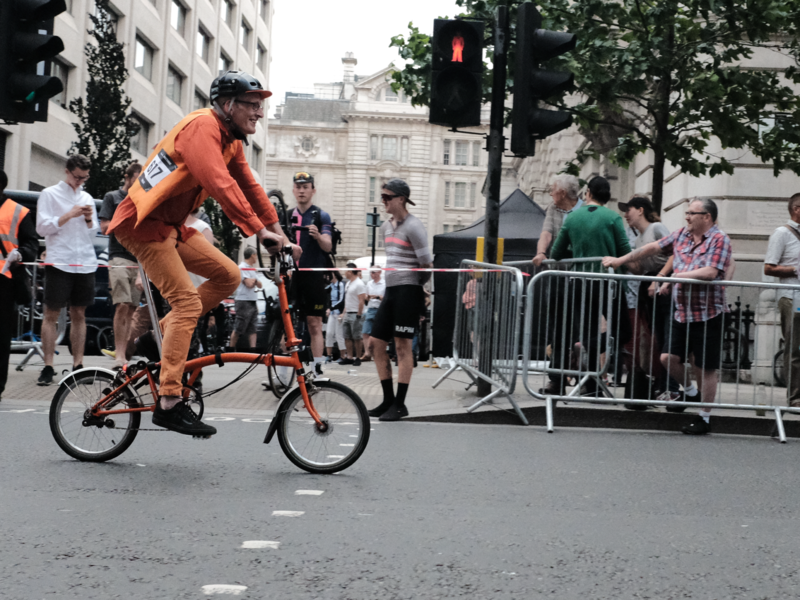 At the MR PORTER Nocturne London you can see races for folding bikes (with a Le Mans style running start), Santander Cycles hire bikes, fixed gear bikes, and even Penny Farthings. Bombing through sharp bends on a carbon road bike is one thing, but an entirely different proposition aboard a Penny Farthing. 4. Beer for everyone – unless you’re racing. The Event Village at New Change will have a fine selection of contemporary street food, craft beer and other drinks. And being situated in the heart of the City, there are many bars and restaurants around the circuit and surrounding streets. Suitably refreshed you can watch the action on large screens on Cheapside and in Guildhall Yard, and between races you can check out the bikes and nervous expressions of the racers in the Rider Village. 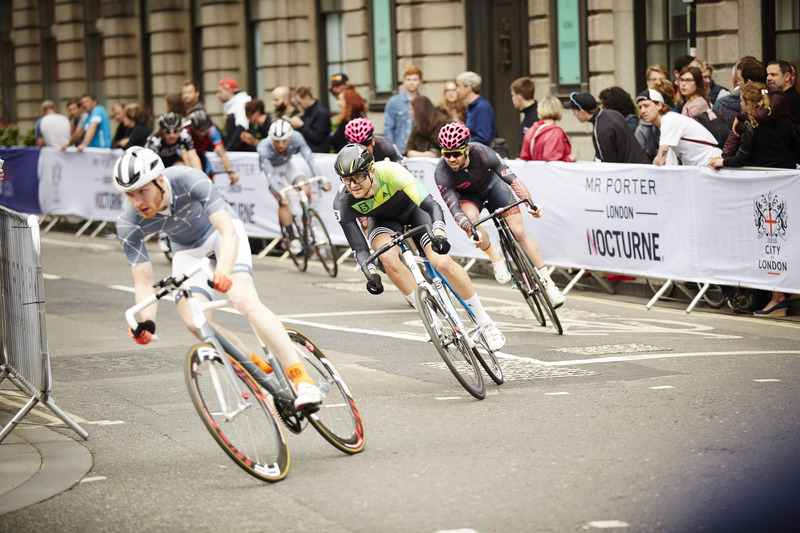 The circuit for the MR PORTER Nocturne London is based in the City of London, the area famous for its banking history. Despite some banks moving to Canary Wharf, the City is seeing continued investment and rapid transformation. Spectacular new buildings have been built over recent years. Close to the race-course there are the famous (some might say infamous) buildings known colloquially as the Gherkin, the Walkie-Talkie and the Cheese-grater, with many more examples of architectural innovation nearby. Overshadowing them all, however, is Sir Christopher Wren’s masterpiece, St. Paul’s Cathedral. Built in the late 17th century, the cathedral is a lasting symbol of London. If you’re visiting for the day or weekend, use the event as a base, and explore the nearby parts of London. You could get some culture at the famously Brutalist Barbican Centre, a curry on Brick Lane, cocktails (and much else besides) in Shoreditch, shopping at Spitalfields Market. Heading south over London Bridge you can visit Borough Market (heaven for foodies), Tate Modern, Shakespeare’s Globe or ascend to the giddy height of the The Shard’s viewing platform. Finally, and the best reason of all, come to enjoy the atmosphere of a unique event in the heart of one of the world’s greatest cities. Cycling can be about serious athletic endeavor, it can be about fun with friends, it can be about posing. 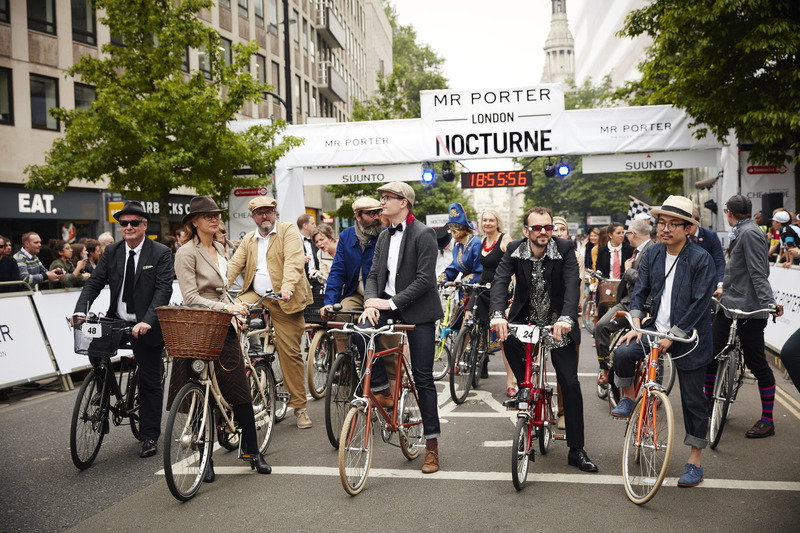 The MR PORTER Nocturne London is about all those things, and much more. As night falls the party will get going. And if there’s one thing my city knows about, it’s hosting a bloody good party.